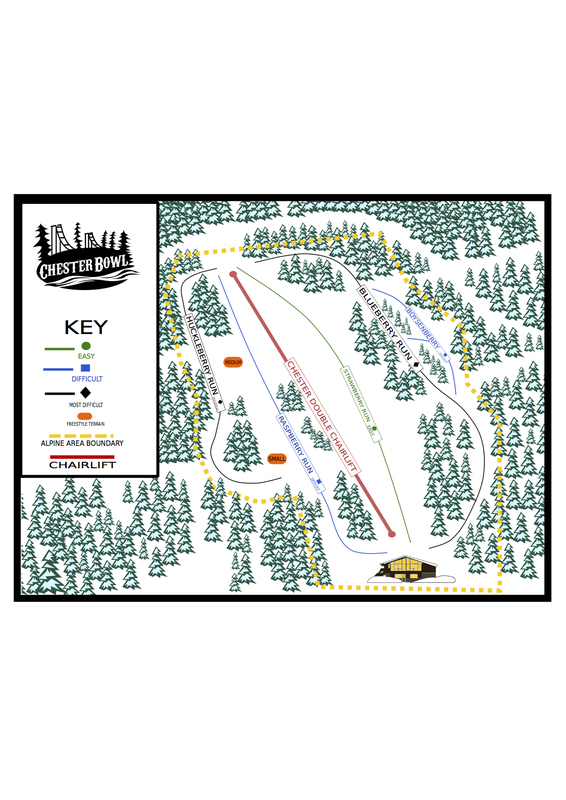 Despite the hill’s small size, Chester Bowl has a variety of skiing & snowboarding options including 5 different trails, a terrain park, and a range of levels of difficulty. Take a look at our trail map to familiarize yourself with the different trails. While skiing and snowboarding at Chester Bowl, please do not go beyond our ski area onto the cross-country ski trails that surround the alpine area. Observe all signs, especially signs stating that areas are closed. Those areas are closed for your safety and failure to observe the alpine boundaries or signage may result in you losing skiing or snowboarding privileges at Chester Bowl.